WASHINGTON (Reuters) - The Federal Communications Commission, which is reviewing the planned merger of T-Mobile US Inc and Sprint Corp , said on Tuesday it has paused its review clock to give the agency time to analyze new and anticipated submissions from the companies. The FCC said it was pausing the informal 180-day review clock, now at day 55, because of two new and complicated submissions from the companies and a third submission that the FCC has not yet received. The $26 billion deal between the two U.S. wireless carriers, which would shrink the wireless market to three big players from four, is also being reviewed by the U.S. Justice Department. The companies announced the proposed deal in April, capping four years of on-and-off talks between the third- and fourth-largest U.S. wireless carriers. T-Mobile said in a statement that it looked forward to working with the FCC in the review process. "We are confident that this transaction is pro-competitive, good for the country and good for American consumers," it said. The FCC said it paused the informal "shot clock" because of a large, complex submission on benefits that the proposed merger would create and a separate submission on network expansion. The FCC received both on Sept. 5. 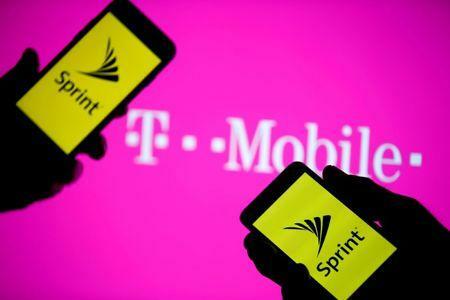 The agency said it would also need time to review additional economic modeling that T-Mobile said it would submit. "The clock will remain stopped until the applicants have completed the record on which they intend to rely and a reasonable period of time has passed for staff and third-party review," the FCC said in a letter to officials at T-Mobile and Sprint which was posted on the agency's website.